We are currently following more than 500 pieces of legislation that has a potential impact on your business. Below is long list of bills that we are working on and our position on the measures. To read the statutory language and see analysis, you can click on the bill number. Any feedback and/or analysis that you may have is welcome! AB 166 (Salas D) Building Homes and Jobs Act: recording fee: hardship refund. Summary: SB 2 passed signed into law last year mandates a fee on recorded document of up to $250 per transaction. This bill would authorize a property owner to request a refund based on hardship of a fee, proposed to be imposed by SB 2. AB 238 (Steinorth R) Emergency response: trauma kits. Summary: Would define “trauma kit” to mean a first aid response kit that contains specified items, including, among other things, at least 2 tourniquets. The bill would require a person or entity that supplies a trauma kit to provide the person or entity that acquires the trauma kit with all information governing the use, installation, operation, training, and maintenance of the trauma kit. The bill would apply the provisions governing civil liability as specified to a lay rescuer or person who renders emergency care or treatment by using a trauma kit and to a person or entity that provides training in the use of a trauma kit to provide emergency medical treatment, or certifies certain persons in the use of a trauma kit. AB 1565 (Thurmond D) Labor-related liabilities: original contractor. Summary: This bill would repeal specified provisions that state that the obligations and remedies are in addition to existing obligations and remedies provided by law, except that the provisions are not to be construed to impose liability on a direct contractor for anything other than unpaid wages and fringe or other benefit payments or contributions including interest owed. AB 1857 (Nazarian D) Building codes: earthquake safety: immediate occupancy standard. Summary: Would require the California Building Standards Commission to assemble a functional recovery working group comprised of certain state entities and members of the construction and insurance industries, as specified. The bill would require the group, by July 1, 2020, to investigate and determine criteria for a “functional recovery” standard following a seismic event, for all or some building occupancy classifications and to direct the commission to propose the appropriate building standards, as specified. The bill would require the commission to produce a document providing guidance to, among others, building owners and local jurisdictions regarding function recovery after a seismic event, in the event that new building standards are not in place by January 1, 2023, as specified. AB 1870 (Reyes D) Employment discrimination: unlawful employment practices. Summary: Current law authorizes a person claiming to be aggrieved by an alleged unlawful practice to file a complaint with the Department of Fair Employment and Housing within one year from the date upon which the unlawful practice occurred, unless otherwise specified. This bill would extend the period to 3 years for which complaints alleging unlawful employment or housing practices may be filed with the department, as specified. AB 1976 (Limón D) Employment: lactation accommodation. Summary: Current law requires every employer to provide a reasonable amount of break time to accommodate an employee desiring to express breast milk for the employee’s infant child and requires an employer to make reasonable efforts to provide the employee with the use of a room or other location, other than a toilet stall, in close proximity to the employee’s work area for the employee to express milk in private. This bill would instead require an employer to make reasonable efforts to provide an employee with use of a room or other location, other than a bathroom, for these purposes. AB 2016 (Fong R) Labor Code Private Attorneys General Act of 2004: civil actions. Summary: The Labor Code Private Attorneys General Act of 2004 authorizes an aggrieved employee who complies with specified notice and filing requirements to bring a civil action to recover specified civil penalties that would otherwise be assessed and collected by the Labor and Workforce Development Agency. The act requires that the aggrieved employee or representative give written notice, as provided, to the agency and the employer of the specific provisions of the Labor Code alleged to have been violated, including the facts and theories to support the alleged violation. This bill would instead require the notice to include a statement setting forth the relevant facts, legal contentions, and authorities supporting each alleged violation and an estimate of the number of current and former employees against whom the alleged violation or violations were committed and on whose behalf relief is sought. AB 2173 (Santiago D) Commercial real property: termination of tenancy: disposition of personal property. Summary: Would change the calculation of the total resale value of the personal property, for purposes of these provisions, to either $2,500 or an amount equal to one month’s rent for the premises the tenant occupied, whichever is greater. AB 2353 (Frazier D) Construction defects: actions: statute of limitations. Summary: Current law specifies the requirements for actions for construction defects. Current law includes a statute of limitations that, except as specified, prohibits an action from being brought to recover under these provisions more than 10 years after substantial completion of the improvement but no later than the date the notice of completion is recorded.This bill would shorten the 10-year period to 5 years. AB 2447 (Reyes D) California Environmental Quality Act: land use: environmental justice. Summary: CEQA requires a lead agency to prepare a mitigated negative declaration for a project that may have a significant effect on the environment if revisions in the project would avoid or mitigate that effect and there is no substantial evidence that the project, as revised, would have a significant effect on the environment. CEQA prohibits a lead agency from approving or carrying out a project for which a certified EIR identifies one or more significant effects on the environmental unless the lead agency makes certain findings. This bill would require the Office of Environmental Health Hazard Assessment, by June 30, 2019, to publish a list of subject land uses, as specified, and a map that identifies disadvantaged communities and areas within 1/2 mile radius of the disadvantaged communities. AB 2485 (Chau D) Code enforcement: financially interested parties. Summary: Would prohibit a local official, as defined, who inspects a commercial property or business for compliance with a state statute or regulation or local ordinance from being accompanied during the inspection by a person with a potential financial interest in the outcome of the inspection, as defined, unless the person is the owner of the property or business, is the agent or representative of the owner, or has an existing contract, as specified. AB 2529 (Chu D) Income taxation: like kind exchanges: withholding. Summary: Current law requires the transferee of a California real property interest, in specified circumstances, to withhold for income tax purposes 31/3% of the sales price of the property when the property is acquired from an individual, or a partnership or corporation without a permanent place of business, as specified. Existing law allows a credit against the tax to the recipient of the income for the taxable year in which that amount was withheld under these provisions. Current law exempts from the withholding requirements real property that is exchanged, or will be exchanged, for property of like kind, as defined, and that qualifies for nonrecognition treatment under California income or franchise tax purposes. This bill would require income tax withholding, as provided, for like kind transfers for out-of-state properties that occur on or after January 1, 2019. AB 2577 (Gray D) Personal income taxes: deductions: labor organization dues. Summary: Would, for each taxable year beginning on or after January 1, 2018, and before January 1, 2023, allow as a deduction from gross income an amount equal to the amount paid or incurred for member dues paid by a taxpayer during the taxable year to specified labor organizations. This bill contains other related provisions. AB 2618 (Bonta D) Hiring of real property: Department of Consumer Affairs: landlords and property managers: training. Summary: Would, commencing on January 1, 2020, require the Department of Consumer Affairs to administer a certification program for landlords and property managers, as defined, to provide education to landlords and property managers on fair housing practices, obligations of landlords, and tenant rights. The bill would make this certification effective for a period of 2 years and would provide for renewal if certain requirements are met. AB 2681 (Nazarian D) Seismic safety: potentially vulnerable buildings. Summary: Current law establishes a program within all cities and all counties and portions thereof located within seismic zone 4, as defined, to identify all potentially hazardous buildings and to establish a mitigation program for these buildings. This bill would, upon the identification of funding by the Office of Emergency Services, require each building department of a city or county to create an inventory of potentially vulnerable buildings, as defined, within its jurisdiction, based on age and other publicly available information, and submit that inventory to the office, as specified. By increasing the duties of local officials, this bill would create a state-mandated local program. AB 2731 (Gipson D) Income taxes: investment management services interest. AB 2847 (Rubio D) Commercial real property: tenancy: abandonment. Summary: Would provide that if a lessee of commercial real property remains in possession after the expiration of the hiring, the lessor’s acceptance of rent from the lessee does not renew the hiring, but instead only mitigates any damage. AB 2913 (Wood D) Building standards: building permits: expiration. Summary: A provision of the California Building Standards Law specifies that a local ordinance adding or modifying building standards for residential occupancies, published in the California Building Standards Code, applies only to an application for a building permit submitted after the effective date of the ordinance and to plans and specifications for, and the construction performed under, that permit, unless, the permit is subsequently deemed expired because the building or work authorized by the permit is not commenced within 180 days from the date of the permit, or the permittee has suspended or abandoned the work authorized by the permit at any time after the work is commenced. This bill would provide that a permit would remain valid if the work on the site authorized by that permit is commenced within 3 years after its issuance under specified circumstances. AB 3001 (Bonta D) Zero-emissions buildings and sources of heat energy. Summary: Would require the Energy Commission to provide compliance incentive credit for measures that result in reduced emissions of greenhouse gases beyond those the commission has determined to be cost effective. The bill would require the Energy Commission, for the year 2022 and thereafter, to require new residential and nonresidential buildings to be electric-ready buildings, as defined, and to develop standards pursuant to which emissions of greenhouse gases associated with new residential and nonresidential buildings could be reduced in a cost-effective manner. AB 3030 (Caballero D) California Environmental Quality Act: exemption: qualified opportunity zones. Summary: Current federal law provides certain federal tax incentives to a taxpayer who invests in a qualified opportunity fund, which is an investment vehicle organized for the purpose of investing in qualified opportunity zone property, as prescribed. This bill would exempt a project that is financed by a qualified opportunity fund and that meets certain requirements from CEQA. The bill would require a lead agency, before making a determination that the project is exempt from CEQA, to hold a noticed public hearing on the project, as specified. The bill would require the lead agency, if it determines that a project is exempt from CEQA under the above exemption and determines to approve or carry out the project, to file a specified notice with the Office of Planning and Research. 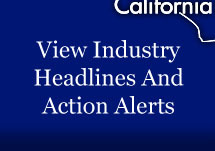 AB 3147 (Caballero D) Fee mitigation act: housing developments. Summary: The Mitigation Fee Act requires a local agency that establishes, increases, or imposes a fee as a condition of approval of a development project to, among other things, determine how there is a reasonable relationship between the fee’s use and the type of development project on which the fee is imposed. This bill would prohibit a housing development project, as defined, from being subject to a fee, charge, dedication, reservation, or other exaction that is more than that in effect at the time that the application for the housing development project is determined to be complete. AB 3194 (Daly D) Housing Accountability Act: project approval. Summary: Would prohibit a housing development project from being found inconsistent, not in compliance, or not in conformity, with the applicable zoning ordinance, and would prohibit a local government from requiring a rezoning of the project site, if the existing zoning ordinance does not allow the maximum residential use, density, and intensity allocable on the site by the land use or housing element of the general plan. AB 3232 (Friedman D) Zero-emissions buildings and sources of heat energy. Summary: Would require the State Energy Resources Conservation and Development Commission, by January 1, 2020, to develop a plan to achieve the goal that the emissions of greenhouse gases from the state’s residential and commercial building stock shall be reduced by at least 40% below 1990 levels by January 1, 2030. The bill would require this plan to include cost-effective strategies to reduce emissions from both new and existing residential and commercial buildings, as specified. ACA 22 (McCarty D) Middle Class Fiscal Relief Act. Summary: This measure, tries to revoke the recent tax cuts at the federal level by imposing a surcharge of 10% on the net income of all corporations that is over $1,000,000. The measure would authorize the Legislature to increase or decrease the surcharge by a 2/3 vote of each house, as provided. The measure would require the deposit of those revenues, less refunds, into the Middle Class Fiscal Relief Fund, which would be created by the measure.